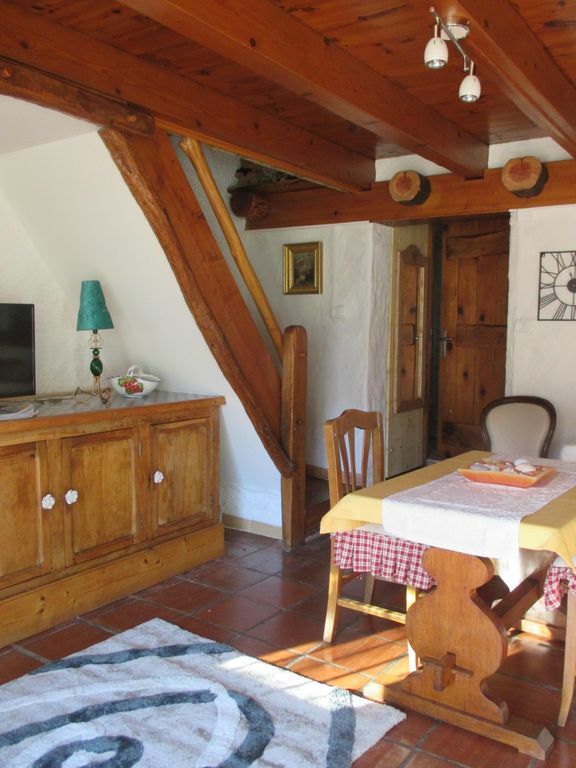 The chalet "Wild Mints - Annex" is located in a quiet and picturesque village in the heart of the High Pyrenees, and if you is synonymous with the mountain stone and wood cottage, then you will love. In a set of character or mix materials, let yourself be seduced by our accommodation. The decor appearance was important for us, as well as the calm of the garden so that comfort and fun are waiting for you to stay. The nearby ski resorts of Saint-Lary-Soulan, Piau-Engaly, Peyragudes and Val-Louron, depending on your type of skiing (engaged, family, sports ...). Spa in St Lary. The lakes Orédon and Cap de Long, the reserve Néouvielle. Fishing, paragliding, canyoning, hiking on horseback or snowshoe that will appeal to the whole family. Opportunity: "Wild Mints - Annex" offers the possibility to accommodate up to 9/10 people merging with the cottage "Mints Wild" in the immediate vicinity, while being independent. Muchas gracias à nos amigos espagnolès. ( Merci beaucoup à nos amis espagnols ).